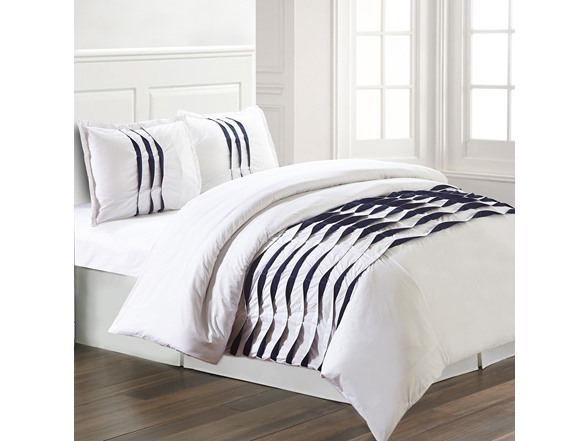 Enhance and improve your bedroom décor with the all new Amrapur Overseas Luxury Duvet Cover Set. This luxury duvet cover set is stitched for durability to last a lifetime and raises the bar for comfort and elegance. A 4 inch flap with button closure ensures that the duvet cover is secure. Includes two matching pillow shams to bring elegance to any bedroom!